With your little one blooming in your life, many joys and concerns of parenthood also bloom out. Parents never want their child to come in the contact of anything harmful. And the baby’s skin is sensitive that needs the utmost care. Their delicate skin gets easily affected with various factors such as the change in weather, cradle cap, dirty nappies, etc. So, it is the most vital part of your baby hygiene to take extra care of the sensitive skin. Diaper change tends to be a messy task for new parents. Repeated use of cloth and water might affect your baby’s natural protective layer. Therefore, elders suggest using pure and soft cotton instead of cloth to clean up the bottoms of your newborn. So use the sensitive baby wipes which are more comfortable to use. Here is the list of top 10 best sensitive baby wipes in India which you can use. Read: How to select the best sensitive baby wipes? 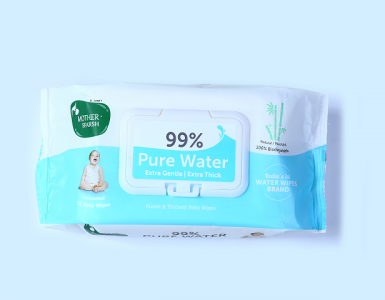 Unscented Mother Sparsh 99% water wipes are specially created for the extra gentle and sensitive skin of babies. Mother Sparsh wipes thoroughly cleans the skin without exposing babies to the chemicals. Doing something especially for sensitive skin is always a little challenging, these wipes are not only formulated with 99% water wipes without perfume but they have also added the goodness of medical grade super thick fabric. 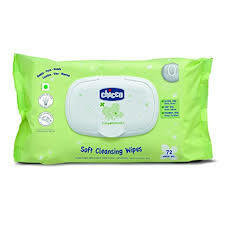 These are super thick wipes and first water wipes in India. 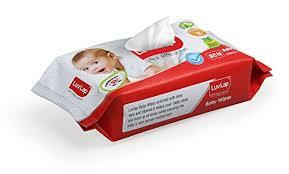 Fragrance-free or unscented water-based baby wipes. Medical grade fabric is used which is derived from the plant pulp. 3 times extra thicker fabric is used as compared to any other ordinary baby wipes. Appropriate for extra sensitive or extra gentle skin of the baby. Used for mouth and hands cleaning also apart from the diaper area. 99% water based baby wipes. 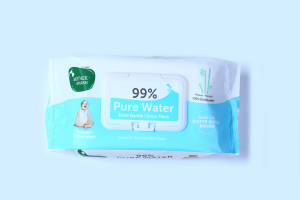 Natural and 100% biodegradable baby wipes. The most gentle cottony fabric is used for most gentle and sensitive body parts of the baby. To retain the moisture for a longer time, moisture lock lid is used. All Mothercare’s specialist know-how goes into the new All We Know baby range. The Mothercare fragrance-free sensitive baby wipes are soft on the baby’s delicate skin. Hence, natural extracts of Aloe Vera and chamomile help protect against causes of nappy rash. 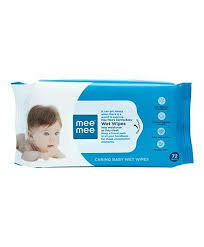 Mee Mee’s Caring Baby Wet Wipes are a handy way to keep your baby clean and refreshed easily. Non-toxic and hypoallergenic wipes are entirely safe for your everyday use. A regular wipe-down with a diaper change keeps your baby fresh and comfortable which means uninterrupted happy moods! Made of non-woven fabric and spun lace, Mee Mee’s sensitive baby wipes are thick which makes cleaning up easy and hassle-free. Enriched with the goodness of Aloe Vera, they also moisturize the baby’s sensitive skin. So, Mee Mee’s Caring Baby Wet Wipes are 100% bacteria and alcohol-free which are manufactured as per the international norms of hygiene and safety to deliver only the best for your loving baby. Gentle Baby Wipes are infused with the goodness of Indian Lotus extracts and Aloe Vera. So, these are mild enough to soothe baby’s sensitive bottoms during a diaper change. These gentle and sensitive baby wipes are also used to clean the baby’s sensitive skin gently. And it ensures that natural ingredients used keep the baby bacteria-free. Johnson’s Baby Skincare Wipes are designed especially using innovative water saturated fiber to keep your baby’s sensitive skin safe. It packs 3 times the weight of moisturizing lotion. So, the moisturizing ingredients help protect against rashes and redness. It also soothes the skin by removing the flakes of dry skin. These are as mild as pure water that provides gentle care for the newborn’s sensitive skin. 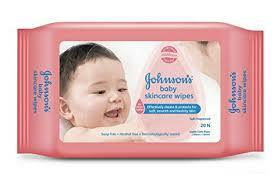 Moms trust Johnson’s for sensitive baby wipes! Luvlap serves the comfort and security of your baby with its baby hygiene products. These Luvlap paraben-free baby wet wipes are enriched with Aloe Vera and Chamomile extract that provides comfort to your baby’s sensitive skin next to the warmth of your lap. 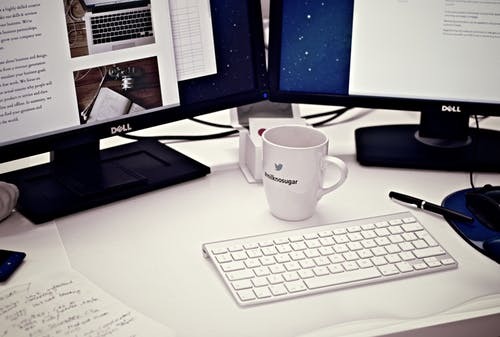 Luvlap products are made using the latest marvels of science, undergo multiple quality checks and conceived with care for your little munchkins. These wipes are hypoallergenic to prevent baby from getting unwanted allergies and rashes. Little’s has designed soft cleansing sensitive baby wipes for your baby’s gentle skin. These are safe for use during playtime, mealtime, and traveling. These wipes are untouched by hands and ensure that your baby’s skin remains moisturized without causing any irritation. Little’s Soft Cleansing Baby Wipes is a 50:50 blend of polyester and viscose. While both are manmade fibers, they offer a better alternative to cotton. 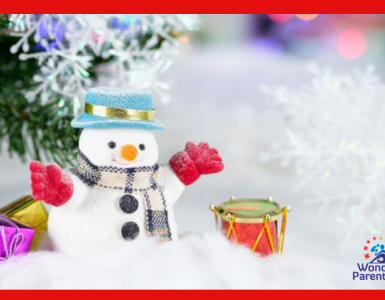 While viscose has moisture regaining property, polyester is extremely durable. 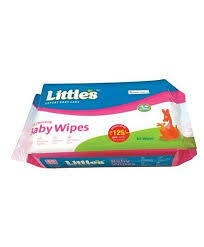 Little’s wipes stay moist for longer and don’t tear while you attempt to clean those little hands, face, legs, and cute little bottom. Pigeon’s sensitive baby wipes are made up with a silky soft woven fabric with the natural cleansing agent to protect the delicate skin of the baby. It contains chamomile and rosehip to moisturize the sensitive skin. 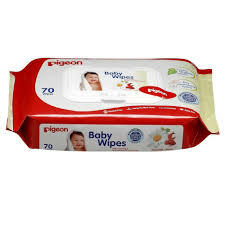 Pigeon wipes have no artificial fragrance and made up of 100% purified water. It can be used daily without drying up the baby’s tender skin. 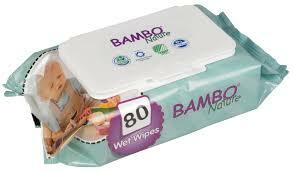 Disposable wet wipes in soft non-woven material in our Bambo Nature range. The wet wipe has the Nordic Eco-Label approval. These sensitive baby wipes contain cleansing and moisturizing substances without perfume. Chicco soft cleansing sensitive baby wipes are alcohol and detergent-free. These are clinically tested to be safe for your baby’s use. Aloe and Chamomile content used in it are best suited for the tender and sensitive skin of your baby. The disinfectant coated wipes ensure that baby does not get affected by rashes or allergies. Hope this list of top 10 best sensitive baby wipes will be helpful for you! Have more to add to the list of best sensitive baby wipes? Please share your experience with the sensitive baby wipes with us in the comments section below.